Note: Always clean the surface before sanding. Sanding the surface with sandpaper does not remove wax or other contamination. Sanding spreads the contamination from one area to another. 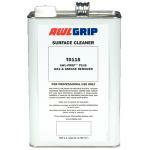 Sanding often melts greases and oils into the surface making it impossible to obtain a clean surface. 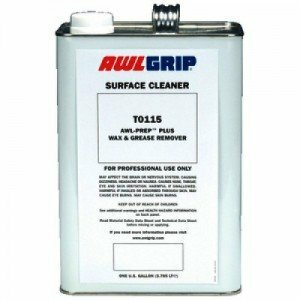 A medium fast evaporating, strong, solvent designed to remove waxes, oils, and greases commonly foun..
A fast evaporating surface cleaner used to wipe down final primed or topcoated surfaces before and a.. 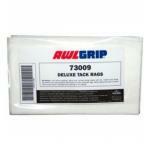 Premium Tack Rags A premium tack rag used just before painting to remove the lightest dust or di..